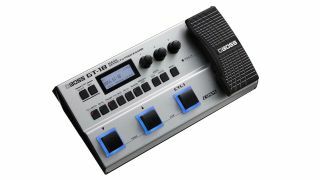 Boss has unveiled a bass version of its downsized GT-1 multi-effects pedal, the GT-1B Bass Effects Processor. Boss is touting the multi-effects pedal as packing “pro-level amps and effects” in a light, compact package, which can fit in a gigbag. Bass-focused effects include a limiter and distortion, as well as graphic EQ, T-Wah, Harmonist, Bass Synth, Defretter and more. The unit can be powered by four AA batteries or a power supply, and offers connection to USB for easy recording with a DAW. The Boss GT-1B is available from August for £209. See below for more features, and pay a visit to Boss for extra info. 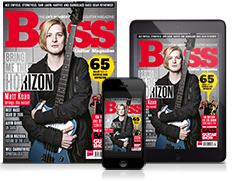 Other Boss launches today include the RV500 Reverb and MD-500 Modulation pedals, plus the Katana-Mini guitar amp.